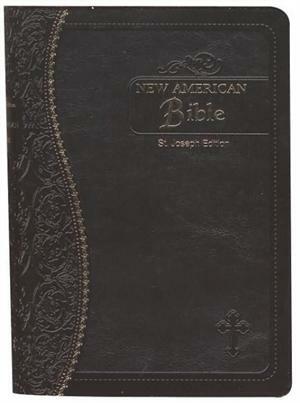 The popular Medium-Size Gift Edition of the St. Joseph New American (Catholic) Bible from Catholic Book Publishing contains the complete Old and New Testaments in large, easy-to-read type, many helpful aids for easy Bible reading including new maps, full-color illustrations, and Family Record. 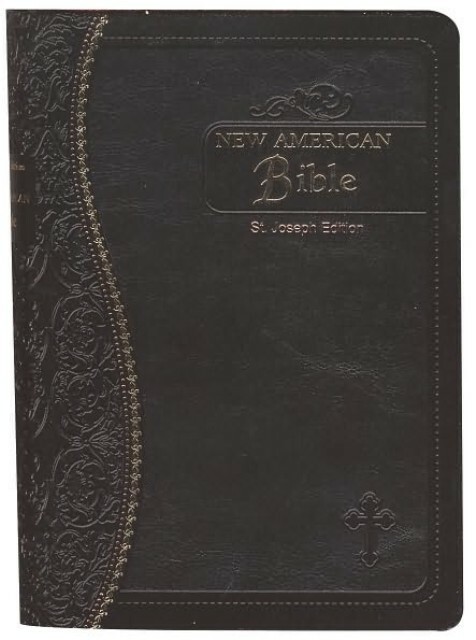 The beautiful and elegant features of this high-quality, medium-size (5-1 /2" x 8") St. Joseph New American Bible include supple material, blind embossing, foil stamping, precise stitching, and decorative gilding to provide an exquisite and unique package for the Word of God. Flexible white imitation leather cover.